Outlook: There still isn't much here. All eyes will be on Tavares. Will he break into the league like Sidney Crosby, who posted 102 points as a rookie, or will he be more like 2009 top pick Steven Stamkos, who needed about half the season before finding his stride? Either way, Tavares isn't going to have much support. There's Okposo, who will be dealing with that concussion Dion Phaneuf gifted him with in a preseason game, and Josh Bailey has some skill. Doug Weight may take Tavares under his wing. Trent Hunter can score on occasion, and Mark Streit proved to be an outstanding pickup, managing somehow to be a plus player (+5) for the Islanders, and led the team in scoring. The goaltending was such a mess last season that Garth Snow brought in not one but two established starters in Roloson and Biron. No telling if DiPietro will be healthy or how much he'd play. The Islanders might be smart to just give him the year off. It's not like the Islanders are about to compete for much this season. Outlook: I won't say to expect the Lightning to be in the playoffs. But here's your darkhorse in the East. Lecavalier appears fully recovered from shoulder surgery that bothered him last season and will line up alongside a healthy Tanguay. The Malone-Stamkos-St. Louis line flourished in the last third of the season, Stamkos in particular, and he could be set for a huge jump in production. The defense is a question mark. Ohlund and Hedman bolstered the ranks, but it remains to be seen what kind of rookie season Hedman has. Andrej Meszaros proved to be one of the bigger busts in recent memory, but with Hedman in the mix, the eyes that were on Meszaros are looking elsewhere. Maybe less pressure on Meszaros will allow him to be at least mildly competent instead of totally incompetent. Smith is another one who has been impressing in preseason and appears healthy. He's got the talent to be a No. 1 goalie, and Tampa's defense is better than last year. Behind him is an established backup/sometime starter in Niittymaki who can put the team on his shoulders for brief stretches if necessary. Overall, the Lightning is better but possibly another year away. Don't be surprised if they're at least in the conversation for the No. 8 playoff spot. Goaltending: A mess. Kari Lehtonen, Ondrej Pavelec, Johan Hedberg. Outlook: There could be a lot of goals scored in games involving the Thrashers, who feature one of the game's elite in Kovalchuk, his good buddy Antropov, and guys like Little (31 goals), and Kozlov and White (70+ points each) in the mix. White might or might not be able to duplicate his performance from a year ago, but it wasn't all because of playing with Kovalchuk. He played a lot with Little and Kozlov. Kubina, coming off two straight 40-point years, is added to what could be an impressive defense corps in a couple years. Enstrom had a solid rookie season but didn't progress much his second year, and Bogosian is a future stud, putting up a very impressive performance in just over a half season. This team will die between the pipes though. Lehtonen cannot stay healthy, and even when he was healthy, he rarely showed the form he was so highly touted for. He missed the preseason and will start the year on injured reserve. Pavelec, another "bright star" in net, has yet to pan out. Hedberg hasn't been able to carry a team since he was on the 2001 Penguins, and, at 36, that's not likely to change. 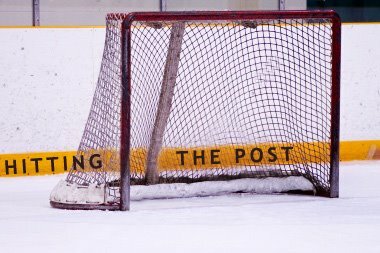 The Thrashers should petition the NHL to put a shooter-tutor in goal. Outlook: Teams should hire an additional trainer or two when getting ready to play the Leafs. Brian Burke has basically stocked the team with players who look to smash the stuffing out of the opposition, namely guys like Colton Orr and Komisarek. Toronto will look to beat teams into submission. Which the Leafs will have to do, because they might not score very much. The acquisition of Kessel immediately makes Kessel Toronto's best and most well-known forward. Blake is still capable of getting 25 goals, and players like Alexei Ponikarovsky, Niklas Hagman and Mikhail Grabovski showed flashes, and Matt Stajan had a breakout year of sorts for him, setting a career-high with 55 points (22 more than his previous high), and these players will need to continue and then further their potential. Toskala killed many a fantasy team last season, but has the faith of management and the coaches as the No. 1 goalie. For now. Burke went to hell and back to get Gustavsson onto his team, and as soon as Toskala falters, and Gustavsson's conditioning (he had that little heart surgery thing, remember) is up to par, a switch will be made. Outlook: The coaching change last season to Cory Clouston seemed to light a fire in the team, and they went from contending for the top overall pick to fighting tooth and nail for a playoff spot until the final couple weeks of the season. This wasn't enough for Dany Heatley, who forced a trade from one team that has frequent playoff meltdowns to another. In his place are Kovalev and trade pieces Jonathan Cheechoo and Milan Michalek. Cheechoo's goal totals have plummeted since a league-best 56 in 2005-06 (he had 12 last season) but has been given a chance at new life with new teammates in a new setting. Whether he takes advantage will play a significant role in where Ottawa finishes. Which Kovalev the Sens get is another factor. Kovalev is widely considered one of the most talented players to lace up the skates, but his attitude and work ethic have at times been questionable or downright lacking. And he's already started talking about finishing his career in Montreal despite having a two-year contract in Ottawa. Kovalev may be even more of a headcase than Heatley, just without the trade requests. Ottawa could have more balance with a scoring, not slumping, Cheechoo and Michalek. It's almost imperative that Cheechoo gets back to lighting the lamp. Defensively, the likes of Chris Phillips and Anton Volchenkov make things miserable on opposing forwards. Kuba displayed an ability to quarterback the power play, and Campoli enjoyed a solid season after coming over in a trade from the Islanders. Ottawa has staked its goaltending on Leclaire, who was second in the league in shutouts two seasons ago with nine. That was despite winning just 24 games. Then he ran into injury problems and Steve Mason in Columbus last year and lost his place on the Blue Jackets' depth chart. Bryan Murray traded Antoine Vermette - who flourished in Columbus - for Leclaire, so he better work out. Elliott didn't do too badly for Ottawa last season, but are you noticing a trend in these Eastern teams? Bad or unknown goaltending all around. Outlook: A high ankle sprain to Miller possibly kept the Sabres out of the playoffs, which they missed by only a handful of points. Vanek overcame a rough start to the season to score 40 goals for the second time in his four-year career, and Roy and Pominville are solid all-around players. Tim Connolly, if healthy, is a good playmaking center, but has dealt with all kinds of injuries the last four seasons. He hasn't appeared in more than 63 games since 2002-03. Drew Stafford is an emerging talent who scored 20 goals last season, and Buffalo fans were biting their nails the longer he held out. He signed shortly before the season began and will be expected to provide support for Vanek. The defense is not very impressive at all, with the departure of Jaroslav Spacek and retirement of Teppo Numminen. There is no real power play quarterback or offensive presence of any kind, and only Toni Lydman is a solid checker. Rivet will beat people up and will see power play time, but Buffalo fans probably long for Brian Campbell. Miller is not an elite goalie but is a very dependable and capable netminder and will have to be his team's best player. Outlook: A tiebreaker with Montreal kept Florida from making the playoffs, and hindsight says the Panthers would've given the Bruins a much more competitive series than the Canadiens did. But this team doesn't have Jay Bouwmeester any more. Nor does it have any assets from trading him, because Florida elected to keep Bouwmeester and the gamble backfired as much as it could. Booth emerged as the top offensive threat, with 31 goals and 60 points in just 72 games, and young center Michael Frolik, similar to Stamkos, started to find his game in the latter half of the year. Nathan Horton was shifted from wing to center to wing to center to.. you get the idea, and because of that or not, regressed from the 25-goal, 60-point form he displayed the previous three seasons. He needs to re-discover himself. McCabe is now the top defenseman, and scored 15 goals and 39 points despite missing the first month or so with a back injury. Keith Ballard is a decent all-around player, but newcomers Jordan Leopold and Dennis Seidenberg have to find their niches on the team. Florida's defensive style relies heavily on the goaltenders, as the Panthers gave up the most shots per game in the league at 34.7. Vokoun handles the workload well enough for stretches, but every now and then he seems to be unable to stop a beach ball or he comes down with an injury. Craig Anderson proved to be a capable backup, but departed for Colorado. Fortunately, Scott Clemmensen is on the roster and he could've been the Devils' MVP for carrying New Jersey for much of the season in Martin Brodeur's absence. Vokoun should start as the No. 1 goalie, but should feel pressure from Clemmensen. It's hard to get a read on this team, whether they lost too many key pieces to continue to be a playoff contender or if their young players' games will advance to the point that Florida will be playing in late April. Tomorrow, the debut of the NHL Nightly Recap and the rest of the Eastern teams.